Congratulations to all members of the band for putting on an absolutely spectacular performance in the NSW State Band Championships. 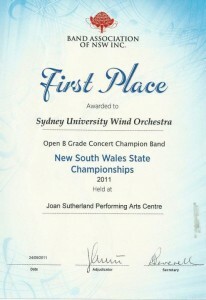 Our first place result in the competition is a true testament to how far the band has developed this year. Each and every band member must be thanked for their time and devotion – there is not one person who has not grown musically throughout the course of the year. But in particular a huge thank you must go to our Musical Director, Adrian Tan. 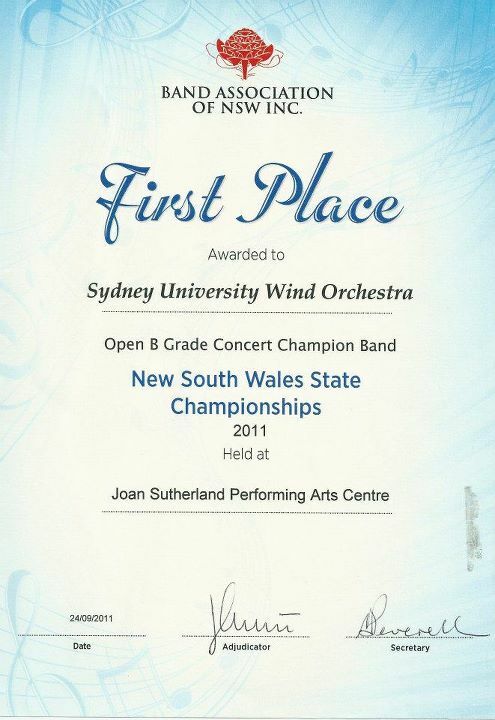 After completing his Masters in Conducting at the Conservatorium of Music in June, Adrian has stayed in the country solely for the purpose of directing SUWO for the States Championships. There is no doubt that his belief in the members of the band, strong determination and outstanding musicianship has led us to this incredible victory!